Visit Le Touquet from the 30's thanks to an innovative application that turns your smartphone into a time machine! Climbing is prohibited for children under 6 years old and is not recommended for cardiac persons and pregnant women. Where is the Canche lighthouse? 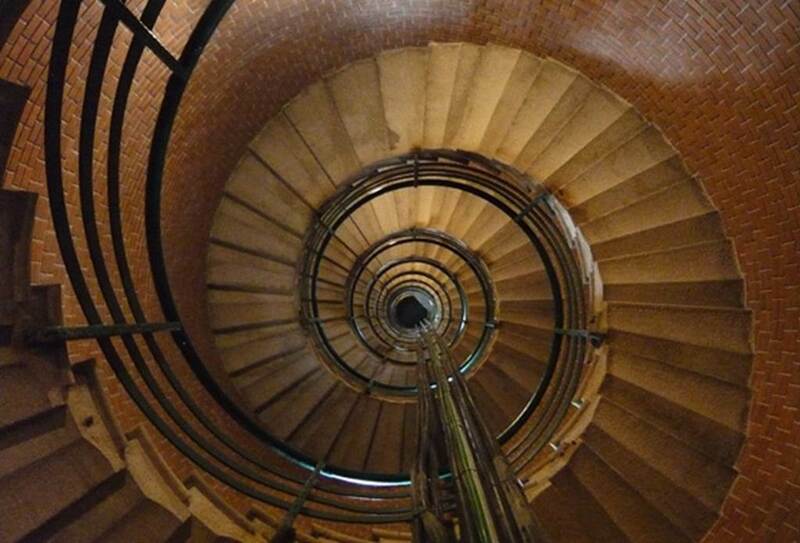 An ascent of 274 steps for a guaranteed show! Once the 274 marches overcome, to reach the panoramic gallery, you will see, at 44.6m height over 360 °, Le Touquet-Paris-Plage as you have never seen. You will contemplate the landscape, if the weather is clear, the bay of Canche with the Norman cliffs. You will witness the meeting of the countryside and the sea, the ramparts of the city of Montreuil to the wooded dunes of the southern Opal Coast, following the line of the hills of Artois. You will feel the sea breeze and let yourself be soothed by the opalescent shades of the sea horizon and the incomparable lights of the sky on our coastline. 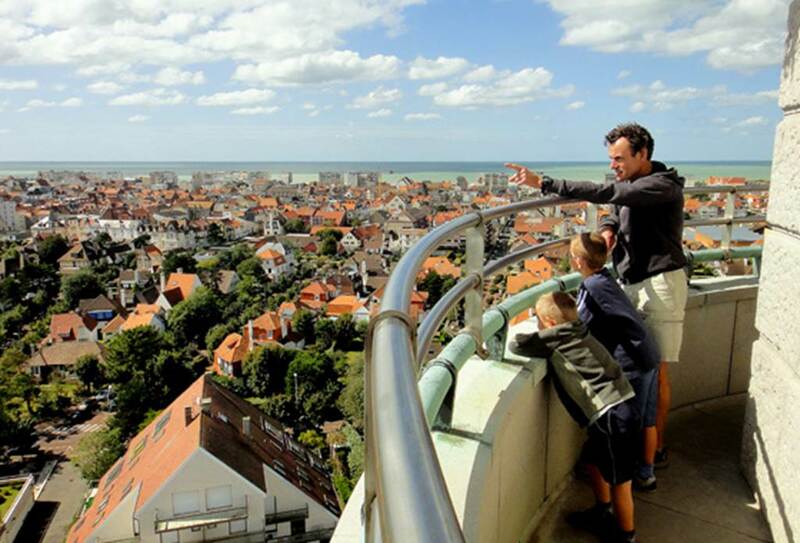 Normandy, Picardy and Nord-Pas de Calais, 3 regions in one panorama! The Picardy and Norman cliffs from Ault to the region of Etretat can be seen with the naked eye, in very clear weather, from the panoramic platform of the lighthouse, towards the South. As the crow flies, the Canche lighthouse is 40 km from the cliffs of Ault, 53 km from Le Tréport, 77 km from Dieppe and about 120 km from the cliffs of Etretat. England 3 steps! Visible or not visible? 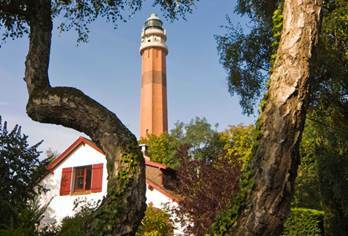 Can we see England at the top of the Canche lighthouse? The English cliffs can be seen from the lighthouse gallery, heading north-west, when the weather conditions are excellent. The closest point of England to Le Touquet as the crow flies is Cape Dungeness. It is located about sixty km from the Canche lighthouse. It is actually not visible because formed by lowlands consisting of meadows lined with salt meadows.On the other hand, the high cliffs of Dover and Folkestone, 70 km away and those of Hastings (Brighton area), 78 km away, are visible when the weather is extremely clear. At this distance, the English cliffs can be seen from Le Touquet only from the top of the lighthouse. By way of comparison, the width of the Channel Strait, in its narrowest part, between the cliffs of Dover and Cape Gray Nez, is only 28 km as the crow flies and the length of the Channel Tunnel 35 km. Where to see the English coast from the French coast? To see the English coast from ground level, climb to the top of Mount St Frieux whose summit, located on the other side of the Bay of Canche, in front of Le Touquet, culminates at 150 m above the level of the sea and dominates the entire southern coastline of the Opal Coast. Going up towards the North, from the cliffs of Equihem, the English coasts, beyond Boulogne sur mer, are visible in clear weather of all the sites of the coast of Opal until the Cape Blanc Nez, including since The beaches. From the lighthouse keepers to the pioneers of Paris-Plage, the House of Lighthouses offers a journey back in time. The museum of the House of LighthousesThe museum of the House of Lighthouses. The house of the old lighthouse keepers. 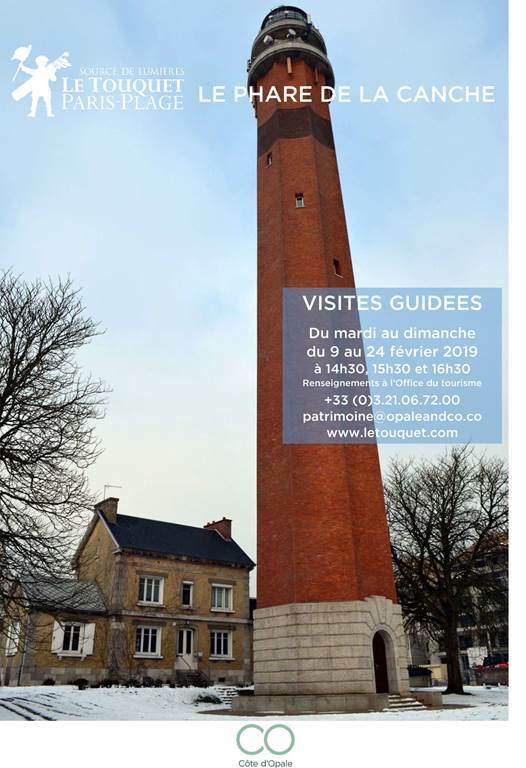 Attributed successively to the masters of the first lighthouses, then to the old guardians of the new lighthouse, this former office accommodation converted into a museum, presents in pictures the history of the lighthouses of Le Touquet and informs the visitor about the optical equipment. During the historic visit, multimedia equipment allow our team to better share with visitors the amazing epic of the Paris-Plage station inspired by its lighthouses. 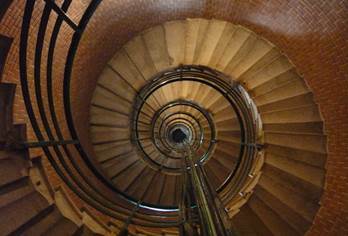 People unable to climb the 274 steps can discover the panorama, thanks to two screens retransmitting the panoramic vision produced in real time by two cameras located at the top of the lighthouse.